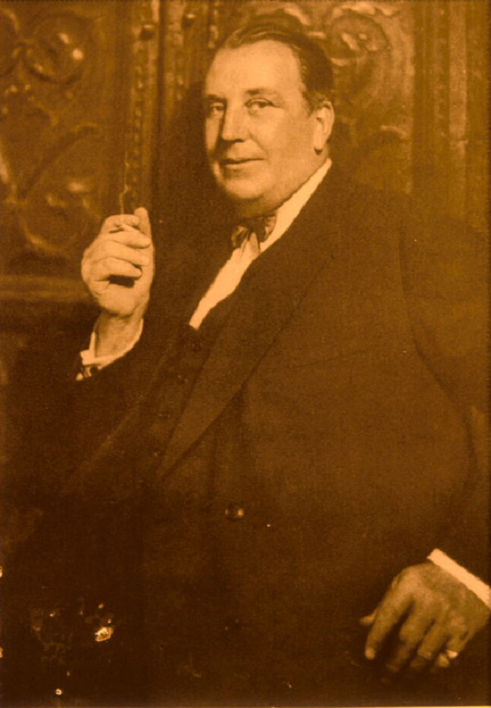 In the 1920s, Addison Mizner was the best known and most-discussed architect in America. Perhaps more than any other architect of his day, Addison Cairns Mizner shaped the architectural flavor of South Florida. Although he lacked formal training as an architect, Mizner’s eclectic reinterpretations of Spanish architecture, as showcased in such famous buildings as the Boca Raton Resort Club and the Everglades Club, helped to popularize the Mediterranean Revival style that continues to inspire architects and developers to this day. , for such deep-pocket clients as J.P. Morgan, the Vanderbilts and the Singers (of sewing machine fame. of 1920s Palm Beach, came to design one of our city’s beloved local landmarks, the Riverside Baptist Church? According to an account in Riverside Remembered, George Hallam’s wonderful book on turn-of-the-century Riverside (now regrettably out of print), Mizner accepted the job out of guilt. He’d been approached in Palm Beach by the church’s building committee (then headed by Dr. H. Marshall Taylor), and reflexively cited “ill health” as his reason for turning down the prospective commission. 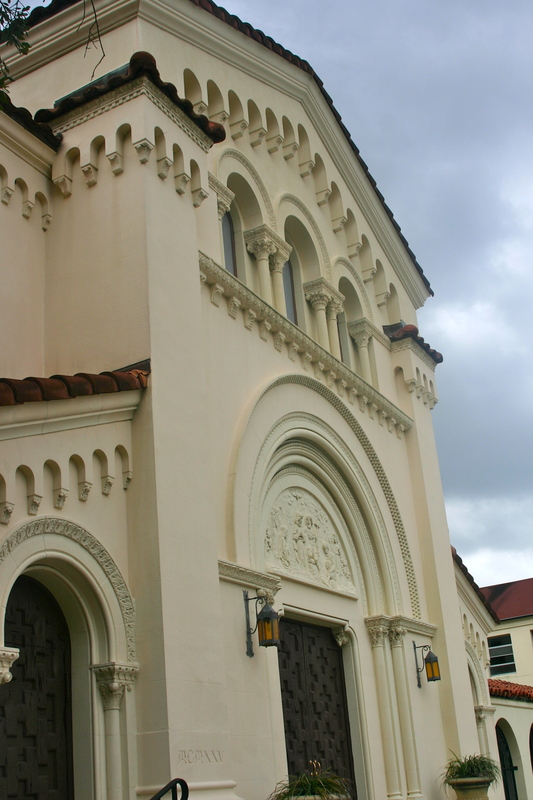 However, the Jacksonville congregation responded to this setback with a “prayer in,” even sending a letter to Mizner stating that the parishioners were actively beseeching God for his recovery. The church’s beautiful blue-stained windows are set in the facade in such a way that light never fails to fall on the sanctuary’s altar. Working out of an office on Hogan Street that he’d designed for himself, Mizner began supervising construction of the church in 1924. It was completed in 1925. The resulting structure, a marvelous fusion of Romanesque, Byzantine, and Spanish elements, is a one-and-a-half story octagonal dome set in a base shaped like a Greek cross, with a red tile roof and stucco-layered hollow clay walls designed to resemble limestone. 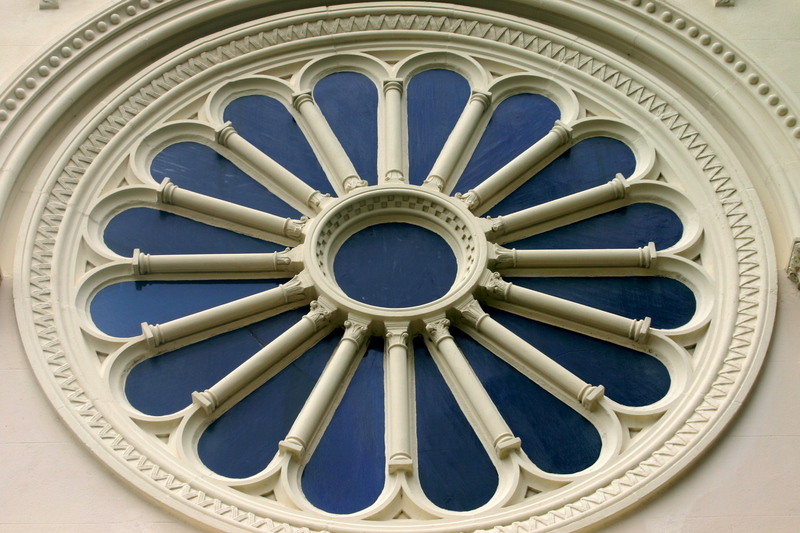 Mizner’s first and only religious structure, the radical nature of its design caused quite a stir. It is in the church’s astonishing interior that Mizner’s formidable skills are most evident. Worshipers enter the church through one of three pecky-cypress doors, each of which is embellished with carved Greek crosses. The larger center doorway forms the lower half of a great stone archway above which three Romanesque windows are centered. On this doorway, inside the great arch, a carved tympanum in bas-relief depicts the baptism of Christ, even as symbolic scapegoats flank its doors. To provide a sense of spaciousness to the narrow Narthex, Mizner designed a Gothic style groin-vaulted ceiling, and—borrowing a Spanish motif—hung star-shaped lanterns representing the Star of Bethlehem from the ceiling. It’s hard to overstate the pervading aura of antiquity in the church, no doubt fostered by Mizner’s careful selection (and artificial aging) of the materials used. Interior walls were rubbed with buttermllk and burnt umber to simulate centuries of age, while the stunning cypress-beamed ceiling is adorned with painted decorations meant to mimic 15th-century Italian Renaissance designs. , but of course the best way to appreciate the church is to see it yourself. The church is located in Riverside at 2650 Park Street, at the corner of King. –by Jean Grimsley. This article first appeared on riverisideavondale.org. Sign up for our mailing list to learn about our upcoming events.